George Clooney is being paid by the world’s top two war profiteers, Lockheed-Martin and Boeing, to oppose war profiteering by Africans disloyal to the U.S. government’s agenda. Way back yonder before World War II, war profiteering was widely frowned on in the United States. Those of us trying to bring back that attitude, and working for barely-funded peace organizations, ought to be thrilled when a wealthy celebrity like George Clooney decides to take on war profiteering, and the corporate media laps it up. “Real leverage for peace and human rights will come when the people who benefit from war will pay a price for the damage they cause,” said Clooney — without encountering anything like the blowback Donald Trump received when he criticized John McCain. Really, is that all it takes to give peace a chance, a celebrity? Will the media now cover the matter of who funds opponents of the Iran deal, and who funds supporters of the wars in Iraq, Syria, Afghanistan, etc.? It turns out Clooney opposes, not war profiteering in general, but war profiteering while African. In fact, Clooney’s concern is limited, at least thus far, to five African nations: Sudan, South Sudan, Somalia, the Central African Republic, and the Democratic Republic of Congo, though these are not the only nations in Africa or the world with serious wars underway. Of the top 100 weapons makers in the world, not a single one is based in Africa. Only 1 is in South or Central America. Fifteen are in Western allies and protectorates in Asia (and China is not included in the list). Three are in Israel, one in Ukraine, and 13 in Russia. Sixty-six are in the United States, Western Europe, and Canada. Forty are in the U.S. alone. Seventeen of the top 30 are in the U.S. Six of the top 10 mega-profiteers are in the U.S. The other four in the top 10 are in Western Europe. 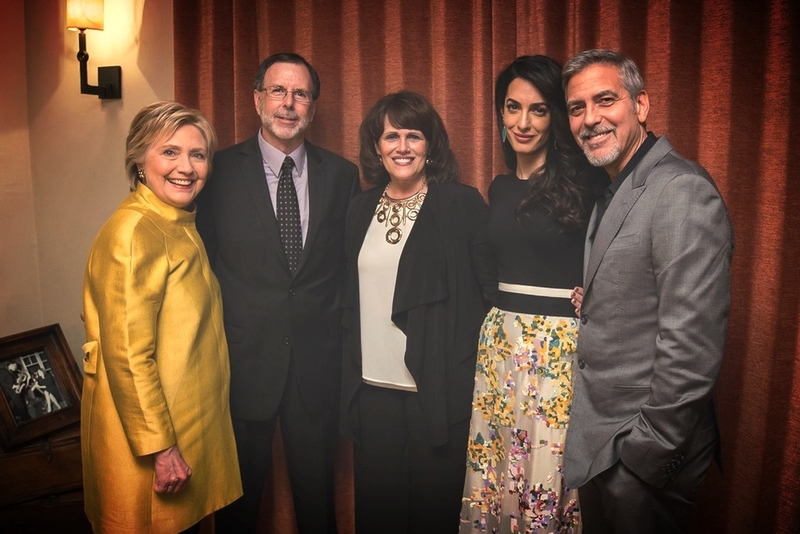 Hillary Clinton, Rob and Alisa Bair, Amal and George Clooney. Photo credit: Adam Schultz. 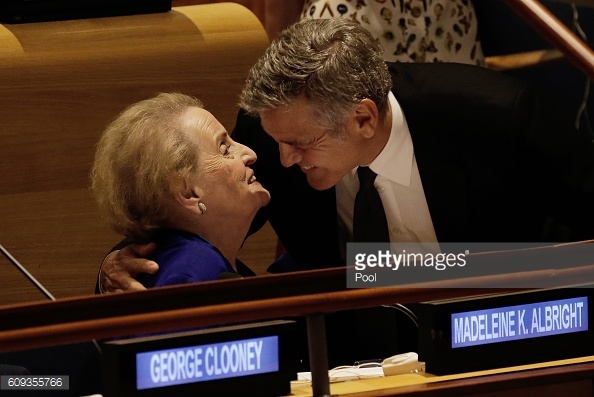 | Clooney called Clinton the ‘one consistent voice’ in the 2016 election. He hosted a lavish fundraiser (that took in 15 million) for Clinton that Bernie Sanders observed as “obscene”. Clooney’s new organization, “The Sentry,” is part of The Enough Project, which is part of the Center for American Progress, which is a leading backer of “humanitarian” wars, and various other wars for that matter — and which is funded by the world’s top war profiteer, Lockheed Martin, and by number-two Boeing, among other war profiteers. According to the Congressional Research Service, in the most recent edition of an annual report that it has now discontinued, 79% of all weapons transfers to poor nations are from the United States. That doesn’t include U.S. weapons in the hands of the U.S. military, which has now moved into nearly every nation in Africa. When drugs flow north the United States focuses on the supply end of the exchange as an excuse for wars. When weapons flow south, George Clooney announces that we’ll stop backward violence at the demand side by exposing African corruption. What does George Clooney’s new organization say about the DRC? A very different story from that told by Friends of the Congo. According to Clooney’s group the killing in the Congo happens “despite years of international attention,” not because of it. Clooney’s organization also promotes this argument for more U.S. warmaking in the DRC from Kathryn Bigelow, best known for producing the CIA propaganda film Zero Dark Thirty. On Sudan as well, there’s no blame for U.S. interference; instead Clooney’s crew has produced a brief for regime change. On South Sudan, there’s no acknowledgement of U.S. warmongering in Ethiopia and Kenya, but a plea for more U.S. involvement. The Central African Republic gets the same diagnosis as the others: local ahistorical spontaneous corruption and backwardness leading to war. Clooney’s co-founder of the Sentry (dictionary definition of “Sentry” is “A guard, especially a soldier posted at a given spot to prevent the passage of unauthorized persons”) is John Prendergast, former Africa director for the National Security Council. Watch Prendergast find himself awkwardly in a debate with an informed person here. 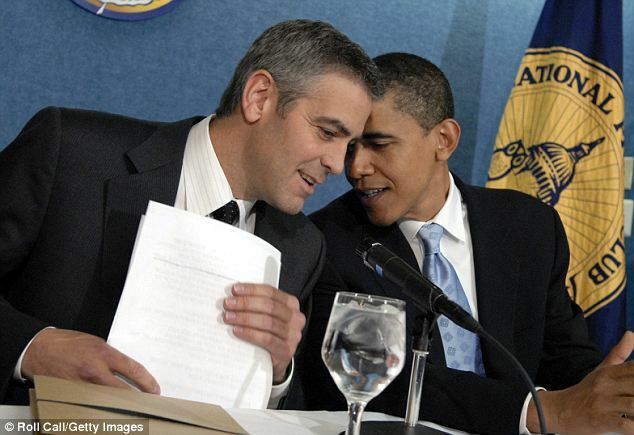 Clooney’s wife, incidentally, works for U.S.-friendly dictators and brutal killers in places like Bahrain and Libya. More nations could soon be spotted by The Sentry. The President of Nigeria was at the U.S. Institute of “Peace” this week pleading for weapons. U.S. troops are in Cameroon this week training fighters. If the peace organization I work for had 0.0001% the financial support of The Sentry, perhaps the debate would change. So, one thing you can do is support the right antiwar efforts. Another is to let The Sentry know what it’s missing. It asks for anonymous tips when you spot war profiteering. Have you ever turned on C-Span? If you see something, say something. Let The Sentry know about the Pentagon. Boyle expressed his frustration at the UNSC [Security Council] failure to suspend the crippling sanctions against Iraq. Shortly after Professor Boyle’s attempt to derail the genocide being carried out against an entire generation of Iraqis, endorsed by the UNSC, then US secretary of State, Madeleine Albright made her horrifying statement on CBS TV network. Albright’s reply is still shocking, 20 years after the first US NATO campaign of extermination in Iraq. Is the UN Repeating History in Yemen? Mona Relief 1/4/2016: Bani Quis, Hajjah, Northern Yemen on border with Saudi Arabia. 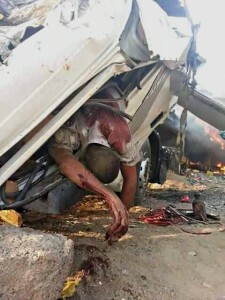 Since the start of the illegal Saudi-led coalition war of aggression against Yemen that began on the 26th March 2015, the UN has appeared to work in lock-step with the lawless aggressor, Saudi Arabia and its allies to exacerbate the widespread suffering of the Yemeni people. UNSC Resolution 2216 was adopted on the 14th April 2015. It called specifically for the arms embargo to be imposed against 5 named individuals. Two other names were included in the Annex to this list, Abdulmalik al-Houthi and Ali Ahmed Saleh. This resolution was entirely based upon the premise of the legitimacy of the fugitive, former President of Yemen, Abdo Rabbo Mansour Hadi. On the same day that the UNSC signed off on a resolution of staggering partiality and bias towards one party in the conflict, namely ex President Hadi and his Saudi backers, a letter had been addressed to the UN by Ali AlAhmed, Director of the Gulf Institute. In this letter, AlAhmed clearly states that, legally, Hadi is NOT the legitimate President of Yemen. “To reiterate, at present Mr. Hadi is a former president of Yemen. The UNSC has no legal authority to appoint him as president of Yemen, or treat him in such capacity. Although his term ended February 25, 2014, Hadi remained in office until February 2015; one year after his term has expired, in violation of the UNSC-endorsed GCC Initiative. He also failed to call for general presidential elections per the agreement he signed. AlAhmed reminds the UNSC that Hadi had been elected in a one-horse-race election in February 2012 under the terms of the GCC Initiative [Gulf Cooperation Council]. That term of presidency had been set to expire after two years, when new elections would be held in Yemen. One month prior to the agreed election date, in January 2014 the NDC [National Dialogue Conference] took the decision, to extend Hadi’s term under the pretext that the transition period was incomplete and that a draft constitution would not be ready for referendum until March 2015. According to Al Wazir’s statement to the UNHRC, Hadi had in fact resigned on the 22nd January 2015 and despite calls from various political factions, he refused to withdraw his resignation prior to the expiry of his questionable extended term as President of Yemen. In a bizarre turn of events, perhaps after his Saudi controllers had put pressure on their marionette, Hadi fled Sanaa [Yemen’s capital] for the port city of Aden. Once safely ensconced in Saudi loyalist territory, Hadi plucked up the courage to renew his claim to the Presidency. Hadi even attempted to relocate the Government to Aden but once he realised this was not a popular decision and with the Yemeni army closing in, Hadi fled to Riyadh, Saudi Arabia. From there he requested that the Saudi Arabian government launch a war against his own people to reinstate him as President, a post he had resigned from, weeks previously. So are we seeing the UN endorse and sustain an illegal war without a UN mandate, being waged against the Yemeni people by a known human rights violating, totalitarian, absolute monarchy, Saudi Arabia? And if so, on what basis? To protect an illegitimate, fugitive President who has called for the destruction of his own people? Is the UN Defending Yemen’s Sovereignty, Independence & Territorial Integrity? Why then did the UN ignore the statement of their own Special Envoy, Jammal Benomar, made on the 28th April 2015? 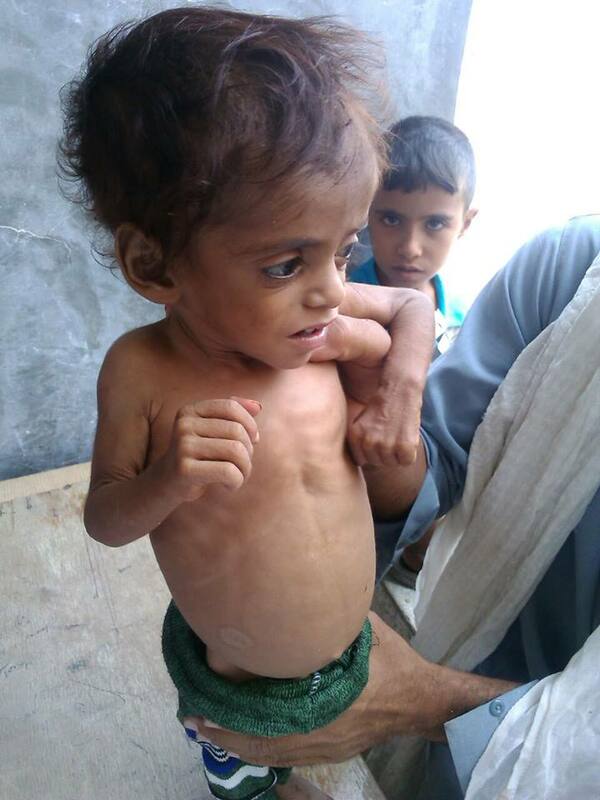 Why then did the UN not strongly oppose the Saudi war of aggression that has decimated the Yemeni people or demand that humanitarian aid be allowed entry to alleviate the universal suffering of the already impoverished nation. Instead the UN flung the door wide open to the Saudi-led war of aggression against Yemen. A war devoid of any legal, moral or ethical justification. A war that would punish the Yemeni people for striving to form their own government without foreign meddling or Saudi corruption and neo-colonialist intent. Why is the UN not defending the determination of the Yemeni people to create a new government that would guarantee equal citizenship and governmental proportional representation for previously marginalised minorities? 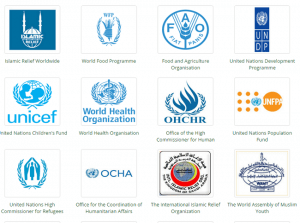 Is the UN Preventing the Deteriorating Humanitarian Situation in Yemen? “Expressing grave alarm at the significant and rapid deterioration of the humanitarian situation in Yemen, and emphasizing that the humanitarian situation will continue to deteriorate in the absence of a political solution. Having allowed the Saudi-led coalition to bomb all hopes of a political solution into smithereens, why is the alarm not being sounded against this oppressive, despotic regime that has the worst human rights record in the region? convoy on the Hodeida to Taiz road. The UN is, in reality, actively allowing the denial of human rights to the Yemeni people by the predatory aggressor, Saudi Arabia. The UN is sanctioning the “depriving of civilians of objects indispensable to their survival”. When the Saudi Coalition bombs humanitarian supply convoys does the UN not consider this to be “wilfully impeding relief supply and access”? Is the UN wittingly allowing these grave violations of humanitarian law or is it an unwilling victim, prey to far more powerful geopolitical players in the region? 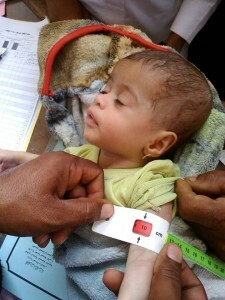 What is the UN’s Mandate in Yemen? The UN is allegedly seeking a peaceful political transition in Yemen according to the terms laid out in the GCC initiative and its implementation mechanism. This objective becomes untenable when we consider that effectively, the GCC initiative has expired. So who precisely is obstructing the peaceful political transition? The Yemenis or those who launched an illegal war against them and who are destroying their ability to survive let alone decide their political future? The illegitimate, fugitive President, Mansour Hadi fled Yemen and incited a war against his own people from Riyadh. A war that has massacred over 8000 people and injured tens of thousands more. 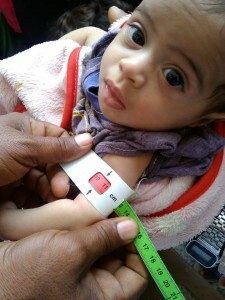 A war that has left Yemen without resources, infrastructure, electricity, communication, food and water. In a logical, rational world all those who supported Hadi’s endeavour should be found by the UN “Sanctions Committee” and Panel of Experts to be “obstructing the peaceful political transition in Yemen” and be considered the main instigators of instability and insecurity in Yemen. 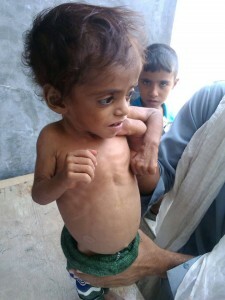 It is almost impossible not to conclude that multiple parties are colluding to starve Yemen into submission to Saudi objectives. Objectives that are aligned with those of the US, NATO and Israel. The UK has sold over £ 2.8bn in arms to Saudi Arabia since this illegal war began. The US, a staggering $33bn. Lockheed Martin, a major player in the Military Industrial Complex announced in January 2016 that they would be opening an “expanded repair capability centre” in Saudi Arabia, the first support centre for their Sniper Advanced Targeting Pod technology outside the US. To ensure “fleet readiness”. France has just signed off on a mind-blowing $ 7.5 billion arms contract with Qatar [member of the Saudi coalition]. Saudi Arabia’s annual $10 trillion oil revenue is a major factor. Yemen is essential for the survival of the Gulf States in this market, and by default, pivotal to US and NATO resource needs. If Saudi Arabia lost control of Yemen, the effects would be catastrophic for the Gulf states. Saudi Arabia is the only Gulf state with the geographic potential of an east-west pipeline which would give access to the west and the Red Sea, if ever a conflict should arise with their arch enemy Iran who controls the eastern Straits of Hormuz, the primary crude oil shipping channel. However that east-west pipeline was converted in 2001 to gas and it would take some time to restore it to suitability for oil. Saudi Arabia has recently replaced Iraq as India’s number one crude oil supplier. It is no accident that Saudi proxy forces, AQAP [Al Qaeda Arab Peninsula] and ISIS have seized swathes of land in the southern province of Hadramaut and the port of Aden. According to a 2008 Wikileaks cable, Saudi Arabia’s intent is to lay a pipeline from the oil and gas rich areas of Al Jawf and Marib in Yemen to the southern coastline, enabling them to avoid both the Straits of Hormuz and the Yemen controlled, Bab el Mandeb straits. This would liberate Saudi Arabia from the clutches of Iranian logistical control and challenge Iran’s regional hegemony head on. With Japan, India, China and S Korea representing the expanding crude oil markets, the geopolitical and economic significance of Yemen to the Gulf States becomes transparent. Finally and perhaps most disturbingly, lets review the actions of known US outreach agent and neo-colonialist battering ram, USAID. 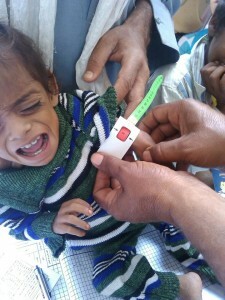 In July 2015, USAID announced that it would turn the aid tap off to Yemen. Criticism abounded against this decision accusing the US of facilitating Saudi human rights violations in Yemen. However, nothing should surprise us when we learn that almost simultaneously Saudi Arabia established its first, official, international Human Rights NGO..there are so many oxymorons in that one sentence. With barely a fanfare, the King Salman Centre was launched to fill the crater left in Yemen, by the departure of USAID and by the US UK and NATO supplied weapons of mass destruction. The chutzpah of this move is only challenged by the flattening of Gaza by Israel who is then tasked and paid to rebuild it. During my recent visit to the UNHRC, to testify against the Saudi coalition’s illegal use of US supplied cluster munitions on civilian targets in Yemen, I had the misfortune to attend a Saudi presentation of their Humanitarian flagship. There were numerous UN organisations in attendance. At the end of the Saudi unveiling, oozing with hypocrisy and inflated claims of universal humanitarianism, the representative of UNICEF raised their hand. I paraphrase their comment. So, having appointed Saudi Arabia to chair of a key human rights panel inside the UNHRC, the UN is now fully endorsing an absolute monarchy’s attempt to further whitewash their crimes against Humanity. 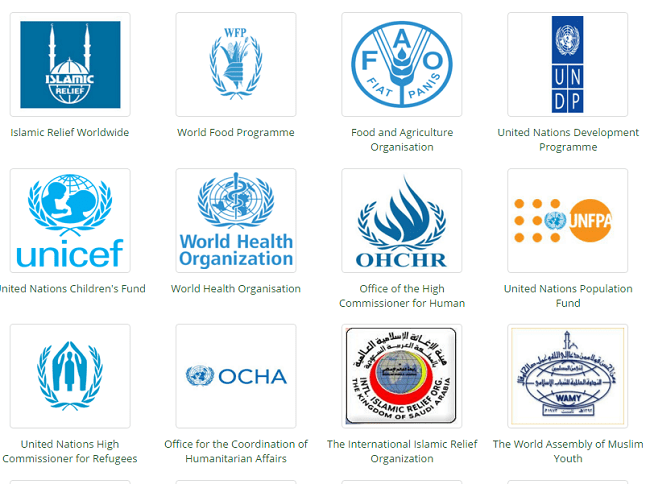 One look at King Salman Centre’s partners, denies UN impartiality when dealing with Saudi atrocities against the Yemeni people. Does it implicate the UN in these crimes? Combined with the unjustified and illegitimate bias of UN Resolution 2216, it must certainly raise questions that need answering. 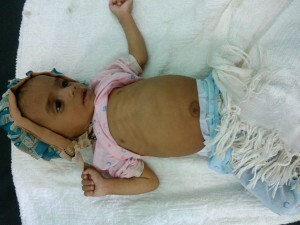 The Yemeni people deserve an answer. Has the UN been bought and paid for by a Monarch? Is this the ultimate spin cycle to rinse the blood of innocent Yemeni men, women and children from the hands of the Saudi monarchy and its allies, including the UN, US, NATO & Israel. The UN is disproportionately influenced by the 5 permanent members of the Security Council, with particular reference to the helmsman, the US and it includes 3 permanent members who are backing the Saudi-led coalition. France, the UK and the US. Maintaining impartiality is virtually impossible under these circumstances and too much is geopolitically at stake if Saudi Arabia loses its grip on Yemen. “Impartiality does not – and must not – mean neutrality in the face of evil. In the face of genocide, there can be no standing aside, no looking away, no neutrality – there are perpetrators and there are victims, there is evil and there is evil’s harvest.” ~ Kofi Annan, Rwanda 1998 after UN peacekeeping forces deserted, handing 1 million civilians over to mass murderers. It is incumbent upon all of us to ensure that Iraq does not happen again. Yemen does not deserve this level of collective punishment from one of the world’s most oppressive, soulless and malevolent regimes and the UN must answer for its failure to protect Yemen against the Saudi coalition murderous ravages. Under Hillary Clinton, the State Department approved $165 billion worth of commercial arms sales to 20 nations whose governments had given millions to the Clinton Foundation. The Clinton-led State Department also authorized $151 billion of separate Pentagon-brokered deals for 16 of the countries that donated to the Clinton Foundation, resulting in a 143 percent increase in completed sales to those nations over the same time frame during the Bush administration. These extra sales were part of a broad increase in American military exports that accompanied Obama’s arrival in the White House. The 143 percent increase in U.S. arms sales to Clinton Foundation donors compares to an 80 percent increase in such sales to all countries over the same time period. 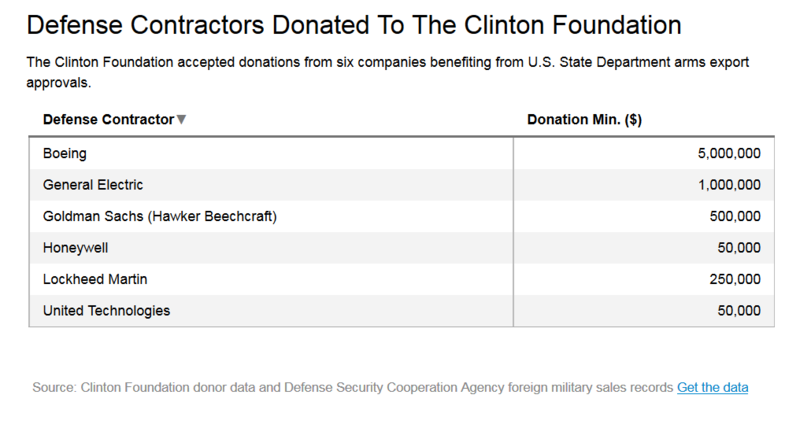 American defense contractors also donated to the Clinton Foundation while Hillary Clinton was secretary of state and in some cases made personal payments to Bill Clinton for speaking engagements. Such firms and their subsidiaries were listed as contractors in $163 billion worth of Pentagon-negotiated deals that were authorized by the Clinton State Department between 2009 and 2012. The State Department formally approved these arms sales even as many of the deals enhanced the military power of countries ruled by authoritarian regimes whose human rights abuses had been criticized by the department. Algeria, Saudi Arabia, Kuwait, the United Arab Emirates, Oman and Qatar all donated to the Clinton Foundation and also gained State Department clearance to buy caches of American-made weapons even as the department singled them out for a range of alleged ills, from corruption to restrictions on civil liberties to violent crackdowns against political opponents. As secretary of state, Hillary Clinton also accused some of these countries of failing to marshal a serious and sustained campaign to confront terrorism. In a December 2009 State Department cable published by Wikileaks, Clinton complained of “an ongoing challenge to persuade Saudi officials to treat terrorist financing emanating from Saudi Arabia as a strategic priority.” She declared that “Qatar’s overall level of CT cooperation with the U.S. is considered the worst in the region.” She said the Kuwaiti government was “less inclined to take action against Kuwait-based financiers and facilitators plotting attacks.” She noted that “UAE-based donors have provided financial support to a variety of terrorist groups.” All of these countries donated to the Clinton Foundation and received increased weapons export authorizations from the Clinton-run State Department. Hillary Clinton’s presidential campaign and the Clinton Foundation did not respond to questions from the IBTimes. In all, governments and corporations involved in the arms deals approved by Clinton’s State Department have delivered between $54 million and $141 million to the Clinton Foundation as well as hundreds of thousands of dollars in payments to the Clinton family, according to foundation and State Department records. The Clinton Foundation publishes only a rough range of individual contributors’ donations, making a more precise accounting impossible. Under federal law, foreign governments seeking State Department clearance to buy American-made arms are barred from making campaign contributions — a prohibition aimed at preventing foreign interests from using cash to influence national security policy. But nothing prevents them from contributing to a philanthropic foundation controlled by policymakers. Just before Hillary Clinton became Secretary of State, the Clinton Foundation signed an agreement generally obligating it to disclose to the State Department increases in contributions from its existing foreign government donors and any new foreign government donors. Those increases were to be reviewed by an official at the State Department and “as appropriate” the White House counsel’s office. According to available disclosures, officials at the State Department and White House raised no issues about potential conflicts related to arms sales. During Hillary Clinton’s 2009 Senate confirmation hearings, Sen. Richard Lugar, R-Ind., urged the Clinton Foundation to “forswear” accepting contributions from governments abroad. “Foreign governments and entities may perceive the Clinton Foundation as a means to gain favor with the secretary of state,” he said. The Clintons did not take Lugar’s advice. In light of the weapons deals flowing to Clinton Foundation donors, advocates for limits on the influence of money on government action now argue that Lugar was prescient in his concerns. Hillary Clinton’s willingness to allow those with business before the State Department to finance her foundation heightens concerns about how she would manage such relationships as president, said Lawrence Lessig, the director of Harvard University’s Safra Center for Ethics. National security experts assert that the overlap between the list of Clinton Foundation donors and those with business before the the State Department presents a troubling conflict of interest. While governments and defense contractors may not have made donations to the Clinton Foundation exclusively to influence arms deals, they were clearly “looking to build up deposits in the ‘favor bank’ and to be well thought of,” said Gregory Suchan, a 34-year State Department veteran who helped lead the agency’s oversight of arms transfers under the Bush administration. As Hillary Clinton presses a campaign for the presidency, she has confronted sustained scrutiny into her family’s personal and philanthropic dealings, along with questions about whether their private business interests have colored her exercise of public authority. As IBTimes previously reported, Clinton switched from opposing an American free trade agreement with Colombia to supporting it after a Canadian energy and mining magnate with interests in that South American country contributed to the Clinton Foundation. IBTimes’ review of the Clintons’ annual financial disclosures also revealed that 13 companies lobbying the State Department paid Bill Clinton $2.5 million in speaking fees while Hillary Clinton headed the agency. 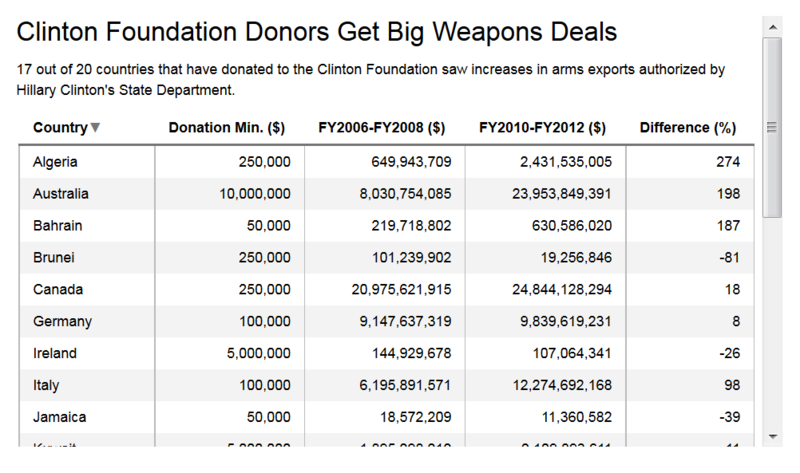 Questions about the nexus of arms sales and Clinton Foundation donors stem from the State Department’s role in reviewing the export of American-made weapons. The agency is charged with both licensing direct commercial sales by U.S. defense contractors to foreign governments and also approving Pentagon-brokered sales to those governments. Those powers are enshrined in a federal law that specifically designates the secretary of state as “responsible for the continuous supervision and general direction of sales” of arms, military hardware and services to foreign countries. In that role, Hillary Clinton was empowered to approve or reject deals for a broad range of reasons, from national security considerations to human rights concerns. The State Department does not disclose which individual companies are involved in direct commercial sales, but its disclosure documents reveal that countries that donated to the Clinton Foundation saw a combined $75 billion increase in authorized commercial military sales under the three full fiscal years Clinton served, as compared to the first three full fiscal years of Bush’s second term. The Clinton Foundation has not released an exact timetable of its donations, making it impossible to know whether money from foreign governments and defense contractors came into the organization before or after Hillary Clinton approved weapons deals that involved their interests. But news reports document that at least seven foreign governments that received State Department clearance for American arms did donate to the Clinton Foundation while Hillary Clinton was serving as secretary: Algeria, Oman, Qatar, Kuwait, Thailand, Norway and Australia. Under a presidential policy directive signed by President Bill Clinton in 1995, the State Department is supposed to specifically take human rights records into account when deciding whether to approve licenses enabling foreign governments to purchase military equipment and services from American companies. Despite this, Hillary Clinton’s State Department increased approvals of such sales to nations that her agency sharply criticized for systematic human rights abuses. That year, the Algerian government donated $500,000 to the Clinton Foundation and its lobbyists met with the State Department officials who oversee enforcement of human rights policies. Clinton’s State Department the next year approved a one-year 70 percent increase in military export authorizations to the country. The increase included authorizations of almost 50,000 items classified as “toxicological agents, including chemical agents, biological agents and associated equipment” after the State Department did not authorize the export of any of such items to Algeria in the prior year. During Clinton’s tenure, the State Department authorized at least $2.4 billion of direct military hardware and services sales to Algeria — nearly triple such authorizations over the last full fiscal years during the Bush administration. The Clinton Foundation did not disclose Algeria’s donation until this year — a violation of the ethics agreement it entered into with the Obama administration. The monarchy in Qatar had similarly been chastised by the State Department for a raft of human rights abuses. But that country donated to the Clinton Foundation while Hillary Clinton was running the State Department. During the three full budgetary years of her tenure, Qatar saw a 14-fold increase in State Department authorizations for direct commercial sales of military equipment and services, as compared to the same time period in Bush’s second term. The department also approved the Pentagon’s separate $750 million sale of multi-mission helicopters to Qatar. That deal would additionally employ as contractors three companies that have all supported the Clinton Foundation over the years: United Technologies, Lockheed Martin and General Electric. Clinton foundation donor countries that the State Department criticized for human rights violations and that received weapons export authorizations did not respond to IBTimes’ questions. That group of arms manufacturers — along with Clinton Foundation donors Boeing, Honeywell, Hawker Beechcraft and their affiliates — were together listed as contractors in 114 such deals while Clinton was secretary of state. NBC put Chelsea Clinton on its payroll as a network correspondent in November 2011, when it was still 49 percent owned by General Electric. A spokesperson for General Electric did not respond to questions from IBTimes. The other companies all asserted that their donations had nothing to do with the arms export deals. “Our contributions have aligned with our longstanding philanthropic commitments,” said Honeywell spokesperson Rob Ferris. Even so, Bill Clinton took in speaking fees reaching $625,000 at events sponsored by entities that were dealing with Hillary Clinton’s State Department on weapons issues. In 2011, for example, the former president was paid $175,000 by the Kuwait America Foundation to be the guest of honor and keynote speaker at its annual awards gala, which was held at the home of the Kuwaiti ambassador. Ben Affleck spoke at the event, which featured a musical performance by Grammy-award winner Michael Bolton. The gala was emceed by Joe Scarborough and Mika Brzezinski, hosts of MSNBC’s Morning Joe show. Boeing was listed as a sponsor of the event, as were the embassies of the United Arab Emirates, Saudi Arabia, Kuwait and Qatar — the latter two of which had donated to the Clinton Foundation while Hillary Clinton was secretary of state. The speaking fee from the Kuwait America Foundation to Bill Clinton was paid in the same time frame as a series of deals Hillary Clinton’s State Department was approving between the Kuwaiti government and Boeing. Months before the gala, the Department of Defense announced that Boeing would be the prime contractor on a $693 million deal, cleared by Hillary Clinton’s State Department, to provide the Kuwaiti government with military transport aircraft. A year later, a group sponsored in part by Boeing would pay Bill Clinton another $250,000 speaking fee. “Boeing has sponsored this major travel event, the Global Business Travel Association, for several years, regardless of its invited speakers,” Gordon Johndroe, a Boeing spokesperson, told IBTimes. Johndroe said Boeing’s support for the Clinton Foundation was “a transparent act of compassion and an investment aimed at aiding the long-term interests and hopes of the Haitian people” following a devastating earthquake. Boeing was one of three companies that helped deliver money personally to Bill Clinton while benefiting from weapons authorizations issued by Hillary Clinton’s State Department. The others were Lockheed and the financial giant Goldman Sachs. Lockheed is a member of the American Chamber of Commerce in Egypt, which paid Bill Clinton $250,000 to speak at an event in 2010. Three days before the speech, Hillary Clinton’s State Department approved two weapons export deals in which Lockheed was listed as the prime contractor. Over the course of 2010, Lockheed was a contractor on 17 Pentagon-brokered deals that won approval from the State Department. Lockheed told IBTimes that its support for the Clinton Foundation started in 2010, while Hillary Clinton was secretary of state. In April 2011, Goldman Sachs paid Bill Clinton $200,000 to speak to “approximately 250 high level clients and investors” in New York, according to State Department records obtained by Judicial Watch. Two months later, the State Department approved a $675 million foreign military sale involving Hawker Beechcraft — a company that was then part-owned by Goldman Sachs. As part of the deal, Hawker Beechcraft would provide support to the government of Iraq to maintain a fleet of aircraft used for intelligence, surveillance and reconnaissance missions. Goldman Sachs has also contributed at least $250,000 to the Clinton Foundation, according to donation records. “There is absolutely no connection among all the points that you have raised regarding our firm,” said Andrew Williams, a spokesperson for Goldman Sachs. Federal records show that ethics staffers at the State Department approved the payments to Bill Clinton from Goldman Sachs, and the Lockheed- and Boeing-sponsored groups without objection, even though the firms had major stakes in the agency’s weapons export decisions. “Bombs Away!” by Anxious223 Chris Dixon. Creative Commons license. About a year ago Conservation International was pilloried by a couple of British videographers posing as executives of the arms maker Lockheed Martin. They bamboozled a C.I. official in London into a meeting where she outlined several ways the nonprofit could “partner” with the arms maker under terms that looked a lot like greenwashing. You can watch the video here and judge for yourself if C.I. did anything wrong. I had a few issues with the “exposé;” chiefly that C.I. already had dealings with B2 bomber maker Northrop Grumman, whose chairman and CEO Wes Bush is a member of its board of directors. And another big group, The Nature Conservancy, was already in the pay of Lockheed. These existing relationships undermined the shock value the scamsters were going for. Still, you’d think the critique, or at least the bad press coverage it generated, would inspire reflection about the reputational damage some corporate deals can bring down on a nonprofit organization. More specifically, is a company that makes weapons of war an appropriate partner for a group whose mission is saving the Earth’s biodiversity? Well, if those questions were raised, they didn’t lead to change. In a nutshell: The Northrop Grumman Foundation will pay for 16 teachers from four U.S. public school systems to visit CI’s Tropical Ecology Assessment and Monitoring Network’s Volcan Barva site inside La Selva Biological Station and Braulio Carrillo National Park in Costa Rica. “We believe that supporting professional development opportunities for teachers will have the greatest impact on engaging students in the science, technology, engineering and mathematics fields. We expect this program will help cultivate the next generation of environmental stewards,” said Sandy Andelman, vice president at Conservation International in a press release the two partners issued April 19. Whoa! That statement requires a reality check. According to the U.S. Department of Education, there are 3.6 million K to 12 grade teachers in the United States spread across 14,000 public school districts. The group selected for this program doesn’t even come close to representing 1 percent of the teachers in the country. A leading environmental charity has been accused of corporate ‘greenwashing’ after a senior employee was secretly filmed by undercover reporters discussing ways in which the organisation could help an arms company boost its green credentials, the Ecologist can reveal. Options outlined by the representative of Conservation International (CI) included assisting with the arms company’s green PR efforts, membership of a business forum in return for a fee, and sponsorship packages where the arms company could potentially invest money in return for being associated with conservation activities. The sting was carried out by the London-based magazine Don’t Panic, with their journalists posing as representatives of a major international defence corporation. Don’t Panic have produced a twelve-minute film in which they make the allegations (watch it below). The female CI employee was recorded describing how the organisation could help the arms company develop key environmental messages, identify target audiences and craft a communications plan as part of one package offered by the charity. Footage from the meeting shows the CI representative outlining the benefits of a number of the charity’s initiatives, including membership of the ‘Business and Sustainability Council’, which is offered to companies in return for a payment of $37,500 per year. The payments would secure the company being publicly listed as a partner on the council, facilitate company representatives meeting with other council members – which includes controversial multinationals Shell, Monsanto and Chevron, amongst others – and provide access to CI expertise and networks. In the meeting, which took place in London in October 2010, the CI employee also outlined how the charity could potentially facilitate the arms company if it wanted to be associated with protecting an endangered species. The CI manager explained how the organisation could make introductions to relevant NGOs and potentially help the arms company to develop a PR strategy for the venture, if money was invested in a relevant conservation programme. Film footage shows the CI employee suggesting North African birds of prey as a possible endangered species mascot for the arms company because of the ‘link to aviation’. In follow up correspondence between CI and the undercover reporters, seen by the Ecologist, CI also outline possible sponsorship options for the arms company, with investment needing to be at least £150,000 over three years. Although there is no suggestion of illegality or wrongdoing on behalf of CI, the footage could prove embarrassing to the US-based charity and could fuel growing concerns amongst activists that some NGOs are growing too close to big businesses often linked to environmental destruction and other abuses. ‘That we [the arms company] were not serious about green issues was made clear to Conservation International over and over again [in our meeting],’ Heydon Prowse, from Don’t Panic, said. CI is linked with at least one other company in the defence sector – Northrup Gruman – which supplies the US military and provides parts for warplanes. The President and CEO of Northrup Gruman, Wes Bush, also sits on the CI Board of Directors. CI’s ‘Business and Sustainability Council’ is, according to the organisation, ‘a community of corporate leaders committed to taking positive environmental actions in their businesses.’ Members include a number of controversial companies including Cargill, Chevron, McDonald’s, Monsanto, Walmart, Goldman Sachs, Shell and Bunge. The corporations commit to paying $75,000 over two years to CI and to send senior representatives to council meetings. The companies are also encouraged to host meetings themselves; one, held in late 2010, examined ‘sustainable agriculture’ and was hosted by Monsanto. CI recently partnered with the Walt Disney Company on carbon offsetting, working with the media company to set up controversial Reduced Emissions from Deforestation and Degradation (REDD) schemes in Peru and the Democratic Republic of Congo. The organisation also previously partnered with agribusiness giant Cargill as part of a project to ‘create benefits for both business and biodiversity in areas where Cargill operates’. Cargill provided support of $1.5 million to the venture. Don’t Panic say they were astonished that CI didn’t appear to have any qualms about partnering with an arms company. ‘If we discovered that our elected politicians at DEFRA had been accepting money from these characters it would rightly be a scandal. Should we not expect as much from the charities we donate to who claim to uphold a cause on our behalf?’ said Heydon Prowse. Conservation International declined to comment when approached by the Ecologist.